Our client, age 43, had worked for almost forty-eight hours straight on an important project at work, taking only short breaks for meals. Upon completing the project, he and his co-workers went to a local bar to have a few beers. They were computer engineers in Gardena. A “few beers” turned into seven or eight. The Reader’s Digest Version: It is rare to “win” at the DMV on the merits of an argument, but in this “refusal” case, we did. 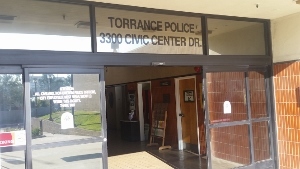 The DMV agreed that the Torrance Police improperly found our client refused to submit to a breath or blood test, when in fact, he tried to give a breath sample and volunteered for a blood test. As our client was returning home at about 2:30 a.m., Torrance police stopped him, in areas without overhead street lighting, for allegedly having illegal tinted windows, a violation of California Vehicle Code § 26708.5. The client then provided a single breath sample with the Preliminary Alcohol Screening (PAS) device, but only one sample. It read 0.18% blood alcohol content (BAC), or over twice the legal limit. The client was unable to provide a second sample due to his asthma. Police alleged that the client was faking his asthma to refuse to provide a second breath sample. The police seemed to also take special pleasure in trying to get him to give a further breath sample despite having a near asthma attack on the side of the road. However, the client never said he wanted to stop or was unwilling to try again and again. Greg Hill first challenged the traffic stop, and how police could notice the car had tinted windows at all due to the poor ambient light in the area of the arrest. The traffic stop, in other words was simply because he was driving at 2:30 a.m. and then police made up an explanation later. After all, the windows were stock windows that the manufacturer provided on the car when he purchased it. The DMV glossed over this argument, but the DMV did not gloss over the arresting officer’s other testimony at the DMV Hearing. At this hearing, the arresting officer testified that because our client failed to give a sufficient breath sample in choosing the breath test, our client had impliedly refused a blood test. Our client testified at the DMV Hearing that when his breath sample was found insufficient, he requested a blood test, but the police took the position that he already had refused this test. Greg Hill argued that such a position by the police meant our client really had to agree to both tests in advance to avoid such a problem. However, the audio recording from the arrest showed police had asked our client, "do you want to take a breath or blood test?” Our client was asked to choose only one test. The law is, however, that if a suspect in unable to provide a sample under one testing procedure, law enforcement must try the alternative method. Here, our client requested a blood test, but police refused to take him to a hospital. After more than ten weeks of deliberation, the DMV issued their ruling in our client’s favor, setting aside the suspension of his driving privileges. This was a hard-fought victory, as the DMV hearing stretched over two sessions, several days apart. Greg Hill from our office had submitted a fourteen page DMV Brief, setting forth not only objections to the DMV’s evidence, but also explaining why law enforcement was obligated to seek a blood sample when the driver was unable to provide a sufficient breath sample.